Big news boys and ghouls! 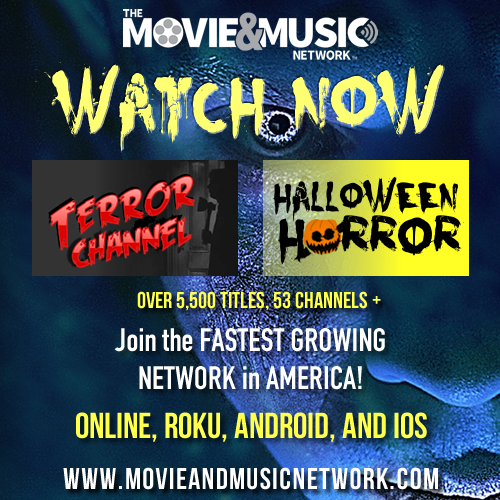 Repulsive Cinema has joined forces with The Movie & Music Network! This streaming service will provide a whole bunch of creepy classics, weird features, adult sickies and more to be reviewed here on the site. From excellent video companies like Something Weird Video, Cult Epics and Independent International, a wide range of weird and wonderful movies to watch and enjoy. This means business as usual here at Repulsive Cinema watching old school adult features, horror and exploitation films. The bonus is that once a month I will review one film that will be available for you readers for free. So now you can read about the strange, twisted, and creepy films and be able to watch them afterwards. It doesn't get any better than that. Check out their website for a 7 day free trial and a full membership for only 5.99 USD a month to stream as much as you like, and pick from over 53 channels and 6000 titles. Stay tuned for the first review!